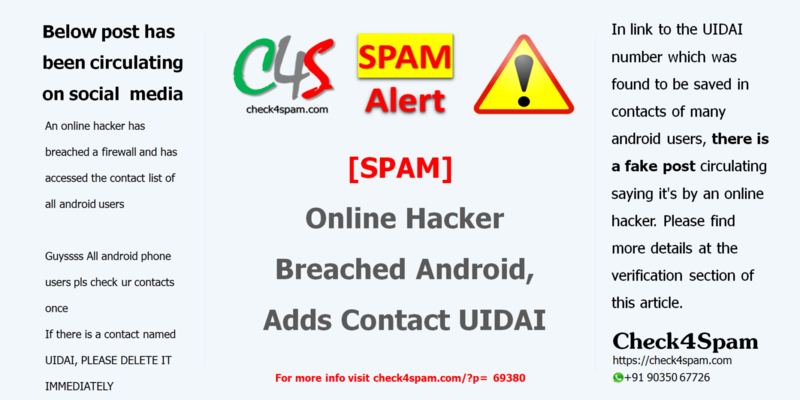 In link to the UIDAI number which was found to be saved in contacts of many android users, there is a fake circulating saying it’s by an online hacker. Please find more details at the verification section of this article. Google has taken responsibility of adding the UIDAI contact in android phones built for India.